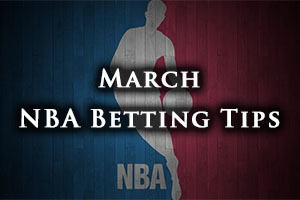 There is only one NBA game taking place on Thursday the 26th of March, so you don’t have a lot of options if you are looking to make the most of your time and money. Obviously the huge amount of games played out on Thursday has had a knock-on effect so while some of you may decide that you will wait until Friday and the glut of weekend games to place some bets, there is still a chance for you to get involved with betting if you want to today. The Nets grabbed an impressive away win in Charlotte, defeating the Hornets by a score of 88-91 while the Hawks got back on track with an 83-95 win against the Magic. The Bulls were road winners in Toronto, winning by a score of 103-116 and the Rockets were narrow road winners, defeating the Pelicans by a score of 93-95. The Lakers even got in on the act with the road wins, winning by a score of 99-101 and the Trail Blazers grabbed a win in Utah, defeating the Jazz by a score of 89-92. The Kings were also winners away from home, defeating the Suns in Phoenix by a score of99-108. The Knicks slipped up at home, losing out the Clippers by a score of 80-111 and the Pacers grabbed a huge win away to the Wizards, winning in Washington by a score of 101-103. The Celtics lost at home, losing to the Miami Heat by a score of 86-93 while the Cavaliers showed off their post-season credentials by defeating the Grizzlies by a score of 89-111. The Nuggets were trounced at home by the 76ers, losing by a score of 85-99 and the Thunder were mauled in San Antonio, with the Spurs winning by 130-91. The Bucks are looking to win two games in a row for the first time in five weeks and they do so with a bit of confidence after the excitement of a buzzer-beating shot gave them a win when they looked line facing another hard night. The Bucks defeated the Heat on Tuesday night by a score of 89-88 and it was pretty much down to a late buzzer beating shot from Khris Middleton. The Pacers also had a narrow win in their most recent outing, grabbing a 101-103 win against the Washington Wizards and it means that the team from Indiana is coming into this game with a slightly more upbeat step than they may have been expecting. The Pacers have their eyes focused on grabbing the final playoff spot and this means that there is a lot up for grabs in this match. OJ Mayo finally got back into action for the Bucks against the Heat after missing four games with a hamstring injury but Jared Dudley is still a doubt with a knee injury which has kept him out of the past 6 games. The Pacers are still without Paul George and they could be without Rodney Stuckey who has been missing for the past two games with a calf injury. This would be a blow for the Pacers and a boost for the Bucks, as Stuckey grabbed 25 points in his last outing against the team from Milwaukee. The Pacers come into this game with a 31-40 record, and this includes a road record which stands at 13-22. The last 10 game record for the Indiana side stands at 4-6, a record that is slightly better than their opponents. This is because the Bucks stand at a 3-7 record in their last 10 outings. The Milwaukee team has a 35-36 record going into this game and they have a 20-14 record. For average points scored, the Bucks have the edge by 97.6 to 96.7 and for average points allowed, the Pacers have a narrow advantage, 97.1 to 97.4. George Hill is the leading point scorer for the Pacers with an average of 15.7 points per game while he has also offered up an average of 4.7 assists per game. Roy Hibbert has also been a crucial player for the Pacers with an average of 7.1 rebounds per game and 1.7 blocks per game. For the Bucks, Brandon Knight has offered up an average of 17.8 points per game this season while Giannis Antetokounmpo has provided an average of 6.9 rebounds per game. Michael Carter-Williams has offered up an average of 5.4 assists per game and an average of 1.7 steals while John Henson has provided an average of 1.9 blocks. The additional day’s rest, home advantage and some players on form should ensure that the Bucks take this one so betting on the team from Milwaukee, even with a modest handicap like -1.5 at odds of 1.90, should provide you with a good return from the only NBA game taking place today. Bet Now!